If you have signs that your acne is leaving scars on your skin, you do don’t have to live with it. There are many different ways to heal your scars and keep new ones from developing new ones. If your scar tissue is swollen or red, you can use cortisone cream to provide relieve to your skin. The cortisone is ingested by skin cells and reduces inflammation. You can buy skin creams wit cortisone without a prescription. Next, you’ll want to concentrate on lightening the dark area left from acne scar. Hydroquinone was an attractive option for skin lighteners, has recently fallen out of favor and now being omitted from many fading creams because it caused irritation and carcinogenic issues. There are other ingredients in skin creams sold without a prescription that can assist in lightening your dark spots. Kojic acid (a natural skin lightener made from mushroom extract, arbutin (also called bearberry extract) and vitamin C ascorbic acid ) are good alternative ingredients to look for in lightening creams. If your acne scars do not fade away on their own, it can take the time to consider scheduling an appointment with your dermatologist. In one to three sessions, laser skin resurfacing using fractionated laser technology can smooth out the skin surface and enhance the formation of new collagen. 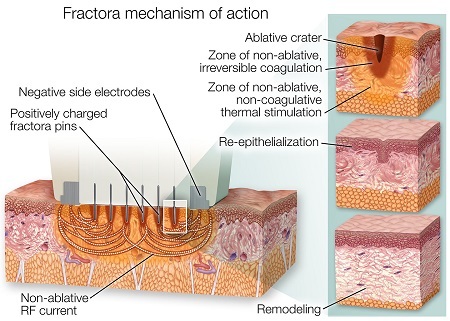 Collagen is a protein that warbutin orks as a building block of the skin. The new collagen can better fill in acne scars. Ablative laser vaporize your scar, enabling smoother skin to take its place. Non-ablative lasers help activate the generation of collagen without damaging the surface of your skin. The primary goal of seeing acne scars fade is patience. A few weeks after you break out and scar, new blood vessels move into the damaged area to give nutrient to the skin which is why most early cars look pink. Months later, collagen stars to form, filling in the wounded section of skin. Because cystic acne damages skin and fat, it can take up to a year fo the scars to fade. Exposing scars to the sun can create them to darken and slow the healing process. Since ultraviolet rays stimulate melanocytes (pigment -producing cells) leading to further discoloration. Before heading outdoors, put on a broad – spectrum sunscreen with a sun protection factor (SPF) or 30 or higher. Broad -spectrum sunscreen protects against both ultraviolet A (long-wave ) and ultraviolet B (shortwave) rays. Ingredients with broad-spectrum protection include benzophenones (oxybenzone and sulisobenzone) titanium dioxide. Avobenzone (Parsol 1798), zinc oxide, capsule (Mexoryl SX), cinnamates (octylmethyl cinnamate and cinoxate), salicylates, Reapply after swimming, after sweating or more than 2 hours in the sun. Limit your time in the sun, particularly between 10 a.m and 2 pm. Wear protective clothing such as a long 0sleeved shirts, pants and a wide-brimmed hat. Do not pick and squeeze. Scars, which are made mainly fo collagen, are body’ way of repairing itself. Acne scars are typically indented because of collagen loss from intense inflammation. 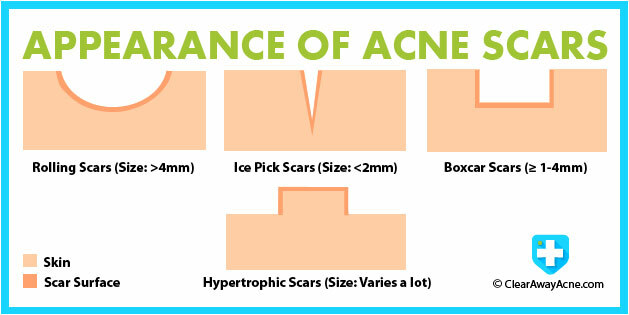 Picking at acne scars leads to further inflammation and injury of the skin, which can add to the scarring and discoloration. 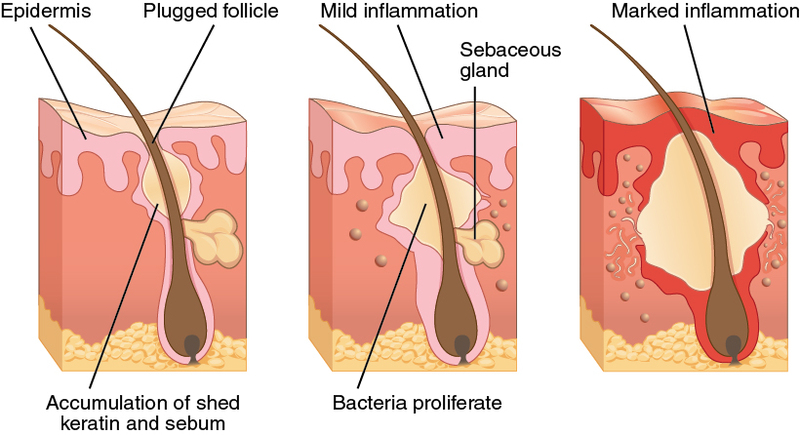 Squeezing or trying to pop pimples causes pus and bacteria to filter deeper into the skin, bring on more collagen damage. Do not use vitamin E on scars. You may have heard the container that applying vitamin E can help the scar to filter faster. But according to a study from Univerity fo Maimi, applying the nutrient directly into a scar can truly prevent its healing. IN the study, Vitamin E either had no effect or mad matters worse for 90% of patients and 33% who put vitamins E on the skin developed a contact dermatitis. ← What is C. Diff or Clostridium Difficile Infection?